There are currently 143 people online. PowerColor debuts SlingIt, a new multimedia streaming solution that lets wirelessly lets you stream video to any HDMI device in your home. PowerColor today introduces all-new multimedia solution, SlingIt, which is designed to help centralize and distribute entertainment to various devices inside your home. 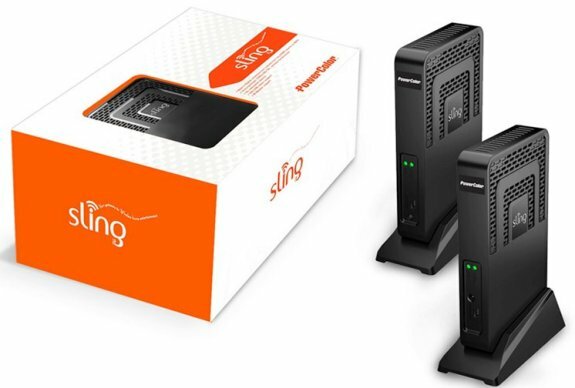 SlingIt creates a gateway to wireless entertainment by offering a pair of devices that builds a bridge among multiple rooms. Any device with HDMI connection can be supported by SlingIt. SlingIt allows users to set up easily by just plugging the transmitter to HDMI source and the receiver to HDVT, and then you can stream Youtube, play games, or share photos with your friends. SlingIt brings incredible HD experience to users with a variety media formats. SlingIt presents flexible and uncompressed 1080p wireless transmission from desktop PC or notebook to HDTV, users are available to enjoy full 1080p HD video, Blu-ray 3D playback with up to 1920 x 1080 resolution for all HDMI devices. The most important of all, SlingIt transfer HD content without noticeable latency, brings amazing lag-free home entertainment. SlingIt supports Human Interface devices (HID), for example, wireless mouse and keyboard. You can share photos, stream YouTube, play games, watch movies from PC and remote control it without moving your feet. Also with the IR support, you can make your remote controller backward, forward, pause or change channels without your device nearby. The interface design of SlingIt is very user-friendly, there’s no need for driver installation. All you need to do is plug the cable into your HDMI device, then SlingIt will operate automatically without any effort.